Click here for more pictures and find out more about the AC Aceca. The AC Aceca debuted at the 1954 Earls Court motorshow. A coupe version of the Ace sports car designed by John Tojeiro. Like the Ace, the Aceca’s bodywork is hand-formed aluminium over a tubular-steel framework but differs with its timber framed doors and tailgate. 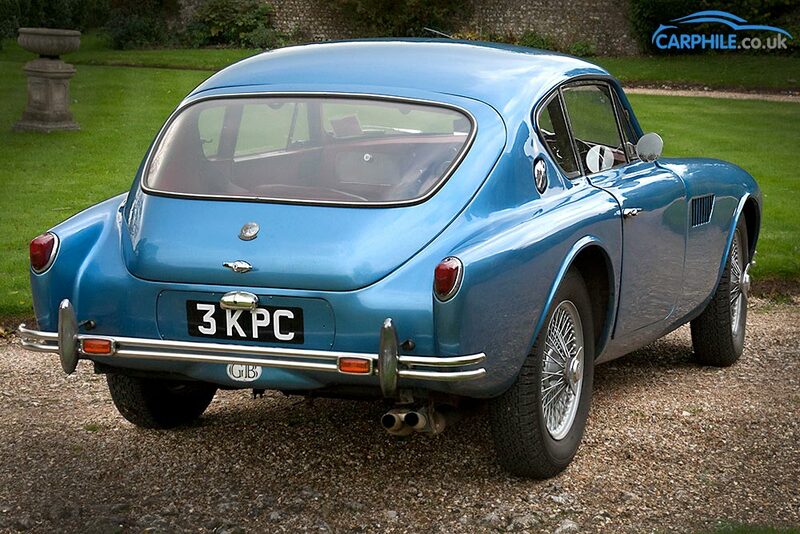 The boot design is more early hatchback than traditional coupe, a feature it shares with the 1953 Aston-Martin 2/4. The Aceca has a four-speed gearbox, with overdrive (an option from 1956). Up front their was a choice of three engines. The car was launched with AC’s trusty 2.0-litre straight-six, but from 1956 those looking for extra power, and with deeper pockets, could order the 2.0 litre Bristol straight-six, producing either 103 or 123bhp (and badged AC-Bristol). In 1961 AC discontinued the old straight-six (originally designed in 1919 by one of AC’s founders, John Weller). Car dealer and racing driver Ken Rudd (of Ruddspeed fame), started offering a 2.6 litre Ford Zephyr engine conversion and in time AC, perhaps grudgingly, supported him. The Ford-engined cars are known as the Ace/Aceca 2.6 and have strengthened front suspension to cope with the engines extra weight. The advantages of Zephyr unit were that it was cheap to service and could be tuned up to 170bhp. This boosted the top speed to over 130mph, lowering the 0-60 time to around six seconds. The 2.6 cars also received some subtle bodywork changes – a lowered bonnet-line and the nose became more oval in shape and was slanted forwards. Although the Aceca was slightly heavier than the Ace, it had a higher top speed due to better aerodynamics. The cars near 50:50 weight distribution, while overshadowed by it’s close-relations, has made it a popular choice in historic racing circles. Production ended in 1963 with 151 AC-Engined Aceca’s sold, 169 Aceca-Bristols and just 8 Aceca 2.6’s. However, the rarest Aceca model is the car in our pictures. This one-off prototype was built in 1959, 5 years after the Aceca was launched. To find out more about this car see the picture gallery.